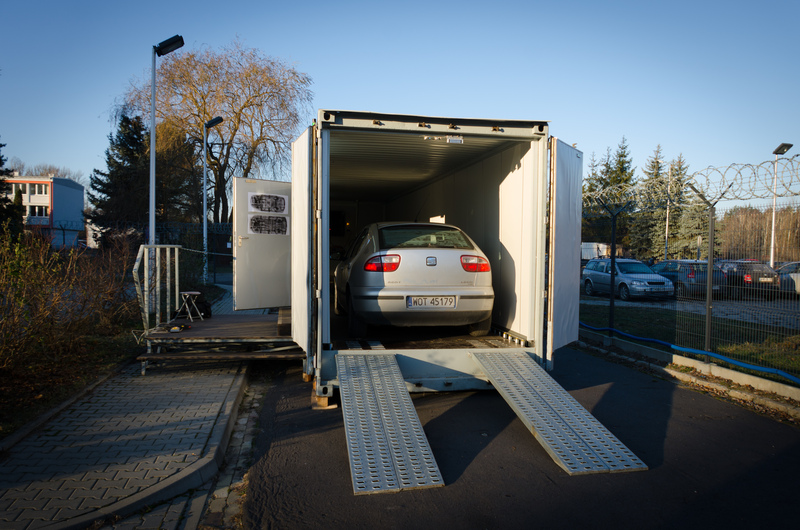 SOWA scanner allows for detailed X-ray inspection of the personal vehicles or vans. High quality X-ray images achieve 0.4mm resolution. Result of the inspection is available for the operator directly after the scan. Scanning in the top – bottom plane is realized by the detectors mounted under the floor, while the cars’ sides visualization is enhanced thanks to special “U" shaped detector line. SOWA allows for detection of smuggling materials or other illegal items such as: weapons, drugs, alcohol, cigarettes and, for example, lack of a DPF filter. The system can optionally be equipped with dual-energy scanning, which helps in an identification of organic materials. Specially designed software is equipped with digital image processing functions such as: auto-brightness and contrast, pseudo-color, differential filter, sharpening and others. The software also allows you to zoom some interesting elements and save scans with comments for efficient archiving and uploading the data. SOWA is oriented towards security control and inspection of transported materials and goods. It was created for customs offices, border guards, military and security services. 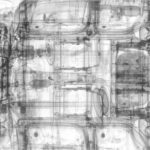 Xray scanning of the car is performer in a special container without the driver, thus nobody is exposed to ionizing radiation. 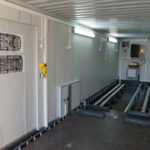 Due to complete shielding, with the dose rate below 1µSv/h in any place outside the container, no special excluding zone is required during the scan. The operator of the system as well as other people close to SOWA are fully safe all the time. 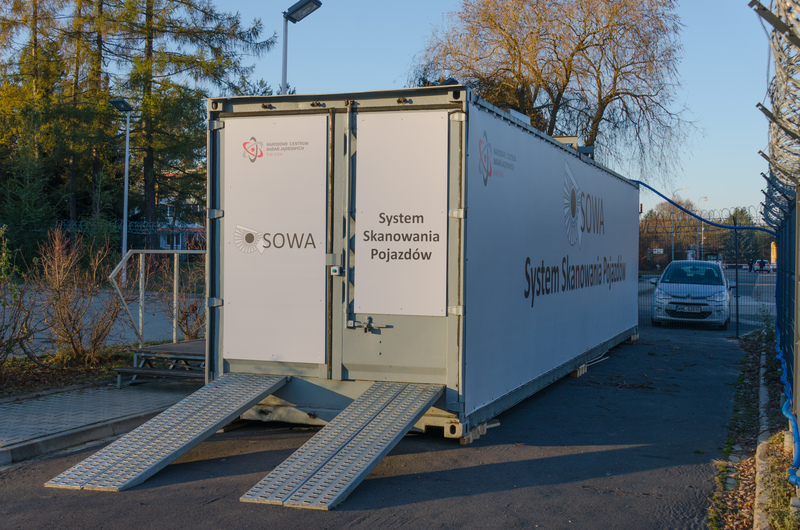 SOWA system can be used in many public areas, since no excluding zone is required, for example near the highway, sport areas etc. 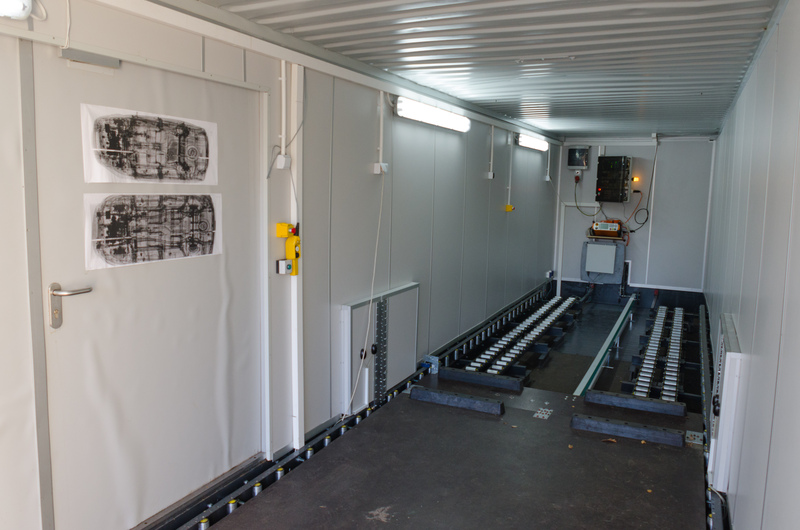 After the scanning, controlled car returns to the entrance gate on a special platform, thus the system does not require any road behind the container. 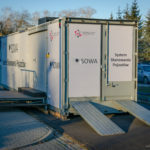 SOWA can be powered by fuel generator, thus it can be used in non-grid areas. 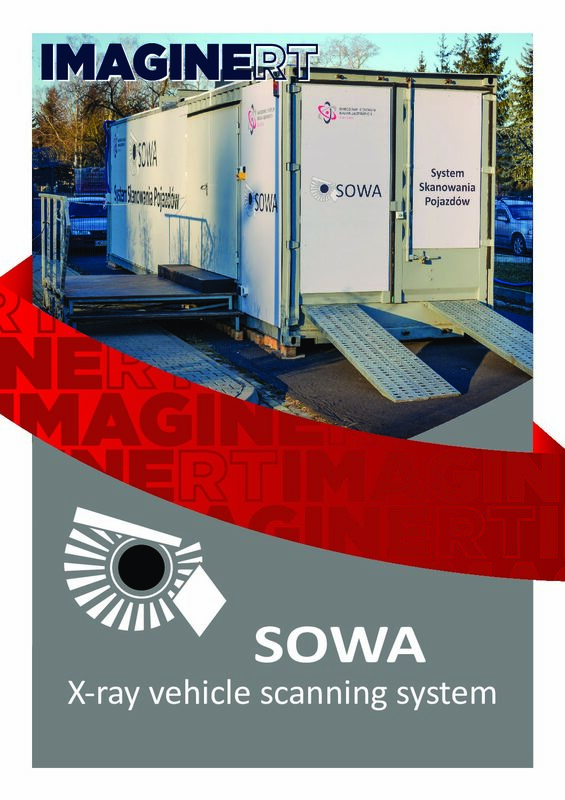 SOWA scanning system is based on sea-container. It can be easily transported by normal truck. 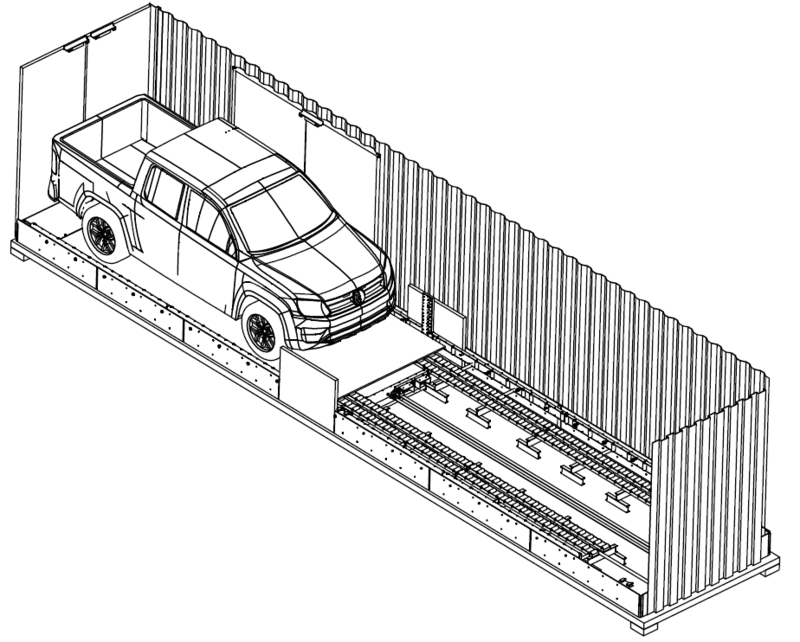 Immediately after the unloading, small driver’s platform and car’s ramps can be mounted in short time. After that, system is fully ready for work. SOWA Xray scanning system has been designed at National Centre for Nuclear Research by experienced senior specialists, also in security branch. ImagineRT ltd is the licensed manufacturer of SOWA systems.